Oh, come on … you didn’t think that this article would be without humor, did you? On a more serious note, there exists a bunch of evidence-based studies proving the health benefits of high-quality chocolate – more specifically, dark chocolate. 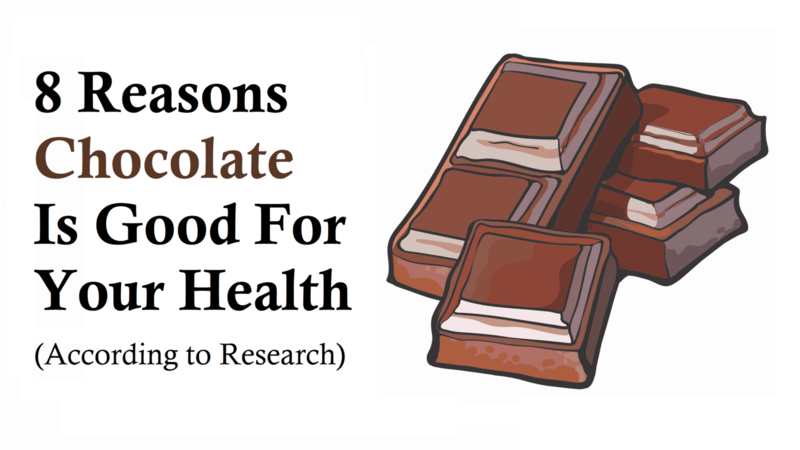 Without further delay, here are eight fantastic health benefits of chocolate! 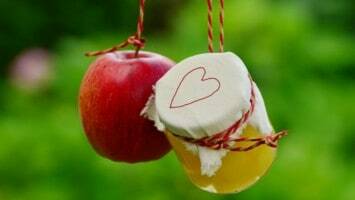 Oxygen Radical Absorbance Capacity, or OAC, is the quantification of a food’s antioxidant activity. 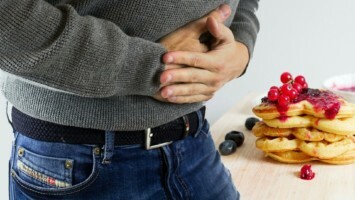 To test a food’s OAC, researchers measure the effects of the food’s antioxidant value by monitoring its effectiveness against harmful molecules, called free radicals. Raw, unprocessed cocoa beans are among the highest scoring foods. Further, dark chocolate tested for higher antioxidant activity – including polyphenols (‘pa-lee-fin-alls’) and flavanols (‘flay-vin-alls’) than any food, including blueberries! Flavanols, which dark chocolate contains plenty of, may help to protect the skin from the sun’s ultraviolet (UV) rays. Flavanols also boost blood flow to the skin and help keep it hydrated. In a 12-week study published in the Journal of Cosmetic Dermatology, 30 participants who consumed dark chocolate high in flavanols over that period showed an increased resistance of 200 percent against UV rays! In a study published in the Journal of Cardiovascular Pharmacology, researchers used functional magnetic resonance imaging (fMRI) to measure the effects – if any – of flavonoids on the human brain. The study’s participants consumed 150 mg of cocoa over five days. “A small square of good (chocolate) melted on the tongue 20 minutes before a meal triggers the hormones in the brain that says ‘I’m full. '” Additionally, another square after eating helps maintain feelings of satiety (fullness). Pretty much. That’s what the science says, anyways! But, chocolate helps you feel better. Ever wonder why? Well, you’re in luck! It turns out that chocolate contains PEA, the same brain chemical that’s released when we’re falling in love. Aside from those lovey-dovey feelings, chocolate also stimulates the release of endorphins – our “feel good hormones”! Are the benefits of chocolate fantastic or what? Wait, it gets better! Scientists were in awe – if not outright disbelief – about these findings, so they continued their work. Lo and behold! Yet another study, published in the Journal of Clinical Nutrition, found that consuming “cocoa and particularly dark chocolate rich in flavonoids” 5 times per week lowered the risk of heart disease – and this time by 57%! Researchers in Italy have found that flavanols in cocoa can improve insulin sensitivity, or the body processes necessary to convert glucose (sugar) into energy. Desideri is referring to his study wherein individuals who consumed cocoa demonstrated a better memory in addition to improved insulin sensitivity. Oh, yeah…dark chocolate boosts memory too!